In 1691 the Town of York ( Yorktown ) was laid off by Laurence Smith, surveyor. The king had issued orders for fifty acres of land to be purchased and laid off for a shire town (court-house town). The land was to be paid for from the king’s treasury, tobacco. The land was purchased from Benjamin Read, of Gloucester , and paid him 10,000 pounds of tobacco. Robert Reade , b. 1536, of Linkenholt Manor, Hants, England; m. ca. 1554, of Linkenholt Manor, Hants, England to Alice O’Pooley , b. 1536, of Linekenholt Manor, Hants, England. Andrew Reade , son of Robert & Alice (O’Pooley) Reade , b. 1556, Linkenholt, Hampshire, England; d. Jul 1623, Faccombe, Hampshire, England; bur. 8 Jul 1623, Faccombe, Hampshire, England; m. 1550, of Kent, England to Alice Cooke (? – Nfn), b. 1558, of Kent, England; chr. 12 Aug 1584, London , England ; d. 6 Mar 1605, Kent Manor , Linkenholt, Southamptonshire , England , bur. 6 Mar 1606. 1. Henry Reade , b. 1566, Linkenholt, Hampshire , England ; d. 4 Apr 1647, Faccomb , England . 2. Robert Reade , b. 1551, Linkenholt, Hampshire , England ; chr. Resident, Linkenholt Manor , England ; d. 10 Dec 1636, Faccombe, Hampshire , England . 3. Henry Reade , b. 1574, Linkenholt, Harts, England ; d. 4 Apr 1647, Faccombe, Hampshire , England . 4. John Reade , b. 1579, Faccombe, Southamptonshire , England . 5. William Reade , b. ca. 1658, Of Linkholt, Hampshire , England . 6. Andrew Reade , b. ca. 1566, Oflugershallhall, Hampshire , England . 7. George Reade , b. 1570, Linkenholt, Harts, England . 8. Thomas Reade , b. 1606, Linkholt, Hampshire , England ; d. 1669. 2. Robert Reade, of Linkenholt Manor[i] , Hampshire, England; son of Andrew & Alice (Cooke) Reade , b. 1551, Linkenholt Parish, Hampshire, England; d. 10 Dec 1636, Faccombe, Hampshire, England; m 1st Miss Unknown ; m 2nd 10 Apr 1588, Hampshire, England to Alice Pooley ; m 3rd 31 Jul 1600, St. Martin, Westminster, London, England to Mildred Windebank , daughter of Thomas & Frances (Dymoke) Windebank , b. 21 Jul 1585, Hiene Hill, Berkshire, England; chr. 21 Jul 1585, Hiens Hill, Hurst , Bershire , England ; d. 1630, VA.
2.1. George Reade Esquire, b. 25 Oct 1608, Linkenholt Manor, Hampshire, England; d. October 01, 1674 in York County, VA; m. 1641, Yorktown, York Co., VA to Elizabeth Martiau . 2.2. Andrew Reade , b. ca. 1608, Faccombe, Hampshire , England . 2.3. Robert Reade , b. 25 Oct 1608, Faccombe, Hampshire , England ; d. by 1669. Robert Reade was secretary to their uncle, Sir Franes Windebank , Colonial Secretary of State in London . 2.4. William Reade , b. ca. 1610, Faccombe, Hampshire , England . 2.5. Thomas Reade , b. 1606, Faccombe, Hampshire , England ; d. 1669, England . 2.6. Benjamin Reade , b. ca. 1614, Linkenholt, Hampshire , England ; d. bef. 24 Jan 1693, York Co., VA. 2.7. Child Reade , b. ca. 1616, Gloucester , VA 2.8. Child Reade , b. ca. 1620, Gloucester , VA 2.9. Child Reade , b. ca. 1622, Gloucester , VA 2.10. Child Reade , b. ca. 1624, Gloucester , VA 2.11. Child Reade , b. ca. 1626, Gloucester , VA. Colonel George Reade , Esq. 2.1. Colonel George Reade Esq ., son of Robert & Mildred (Windebank) Reade , b. 25 Oct 1608[ii] , Linkenholt Manor, Hampshire, England; chr. 1636, Yorktown, Virginia; d. 21 Nov 1671, Yorktown, York Co., VA[iii] or 1 Oct 1674, Yorktown, York Co., VA[iv] ; bur. Be. 20 Nov 1671[v] , Grace Episcopal Churchyard Yorktown, York Co., VA[vi] ; m. 1 Mar 1641, Yorktown, York County/Prince William Co[vii] , VA[viii] to Elizabeth Martiau , daughter of Nicholas & Elizabeth (Berkeley) Martiau , .b. 1625, Elizabeth City, VA[ix] ; d. 10 Feb 1685, Yorktown, York Co., VA[x] ; will proved 24 Jan 1686/87[xi] , York Co., VA; bur. Grace Episcopal Churchyard[xii] . George Reade emigrated to Virginia in 1637, accompanying Governor Harvey on the latter’s return to the colony. · George Reade was attached to Harvey’s service in a secretarial capacity, and the letters to his brother show that he resided at the governor’s mansion for some time after his arrival in Virginia. · He arrived here on government business and in 1640-1641 he was made Secretary of the Colony. · In 1644 he was a Burgess for James City County. · From 1657 to 1660, he was a member of the Royal Council, enjoying the title of Colonel. · He attained the highest political office to which a Virginian of prominence could aspire — for the governorship was always filled by an appointee from England — Col. George Reade was to hold the office of Councillor for eighteen years before his death in 1674. George & Elizabeth (Martiau) Reade attended the Grace Episcopal Church in Yorktown, York Co., VA. During their latter years, the Reade’s resided at Yorktown, most likely on land inherited by Elizabeth from her father Nicholas. 2.1.1. George Reade , b. 1640, Gloucester, VA; d. bef. 1686, VA.
2.1.2. Mildred Reade , b. 2 Oct 1643, Warner Hall, Gloucester, VA; chr. Warner Hall, Gloucester, VA; d. 20 Oct 1686, Cumberland, VA or 1645, VA; d. 1694; bur. Oct 1686, Cumberland, VA; m. to “Speaker” Augustine Warner Jr .
2.1.3. Francis Reade , b. 1650, Of Abingdon, Gloucester, VA.; d. 1694, James City, VA. 2.1.4. Benjamin Reade , b. 1647, Gloucester, VA; d. 1731, Gloucester, VA.
2.1.5. Margaret Reade , b. ca. 1654, York, VA; d. VA.
2.1.9. Ann Reade , b. 1652, York, VA; d. VA. 2.1.10. Elizabeth Reade , b. 1651, York, VA; d. 18 Nov. 1717, York, VA; m. to Thomas Chrisman . 2.1.11. Thomas Reade , b. ca. 1671, Gloucester or York, VA.
2.1.2. Mildred Reade , daughter of Col. George & Elizabeth (Martiau) Reade founder of Yorktown}, b. 2 Oct 1643, Warner Hall, Gloucester, VA; chr. Warner Hall, Gloucester, VA; d. 20 Oct 1686, Cumberland, VA or 1645, VA; d. 1694; bur. Oct 1686, Cumberland, VA; m 1st “Speaker” Colonel Augustine Warner Jr ., of Warner Hall, son of Augustine & Mary (Townley) Warner , b. 3 Jun 1642, Gloucester, VA; d. 19 Jun 1681. He m 2nd to Elizabeth Martian. In 1658, Augustine Warner Jr was sent to England by his father to be educated at Marchant Taylor’s school in London. · Burgess for Gloucester Co., VA Mar 1658-59. · He served as Burgess for the Council of State Marc 1659-60. · In Mar 1675-6 and Feb 1676-7, he was the Speaker of the House of Burgesses during Bacon’s Rebellion. 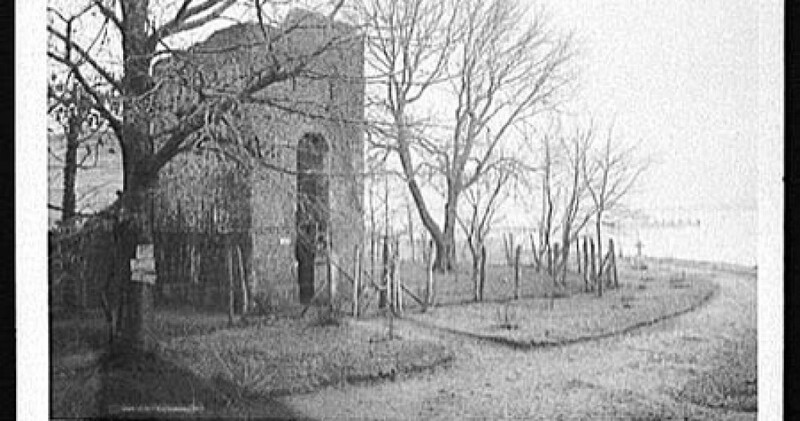 During Bacon’s Bacon, used Rebellion Warner Hall as his headquarters, after the burning of Jamestown. He was a member to the Council of Virginia, 1677. 2.1.2.1. Mildred Warner , d. 1701. m. Lawrence Washington , b. 1659. 2.1.2.2. Mary Warner , m. 17 Feb 1680 to Col. John Smith II or “Purton”. 2.1.2.3. Elizabeth Warner , b. 24 Nov 1672 at “Chesake”, m. “Councilor” John Lewis 2.1.2.4. Robert Warner never married. [i] The Virginia Cowne Family: From its Origin in the Isle of Man to England and America” by Jonathan Augustine Cowne and Janna Lee Gough Cowne, June 1981, pp. 1-51 [ii] “Cemeteries of City of Poquoson, Virginia and Some Cemeteries of York County, Virginia”, p. 96, by Jessie Fay Forrest, edited by James H. Mero (published by Hugh S. Watson, Jr. Genealogical Society, Hampton, Virginia). [iii] AFN: 3GLM-J9 [iv] “Cemeteries of City of Poquoson, Virginia and Some Cemeteries of York County, Virginia”, p. 96, by Jessie Fay Forrest, edited by James H. Mero (published by Hugh S. Watson, Jr. Genealogical Society, Hampton, Virginia). [v] AFN: 3GLM-J9 [vi] “Cemeteries of City of Poquoson, Virginia and Some Cemeteries of York County, Virginia”, p. 96, by Jessie Fay Forrest, edited by James H. Mero (published by Hugh S. Watson, Jr. Genealogical Society, Hampton, Virginia). [vii] AFN: 3GLM-J9 [viii] “Marriage of York County, Virginia”, p. 50, compiled by Vincent Watkins (1986) Poquoson, Virginia. I have found a second date of marriage as 1641, Yorktown, VA. [ix] “Cemeteries of City of Poquoson, Virginia and Some Cemeteries of York County, Virginia”, p. 96, by Jessie Fay Forrest, edited by James H. Mero (published by Hugh S. Watson, Jr. Genealogical Society, Hampton, Virginia). [x] AFN: 3GLM-KG [xi] “Cemeteries of City of Poquoson, Virginia and Some Cemeteries of York County, Virginia”, p. 96, by Jessie Fay Forrest, edited by James H. Mero (published by Hugh S. Watson, Jr. Genealogical Society, Hampton, Virginia). [xii] “Cemeteries of City of Poquoson, Virginia and Some Cemeteries of York County, Virginia”, p. 96, by Jessie Fay Forrest, edited by James H. Mero (published by Hugh S. Watson, Jr. Genealogical Society, Hampton, Virginia). George Reade, a native of London, came to Virginia 1637 in Sir John Harvey’s party. Harvey was returning to Virginia to assume the office of Governor of the Colony. Reade was appointed Secretary of State, pro tem of the colony in 1640 and served as Acting Governor in the absence of Governor Harvey. He was a member of the House of Burgesses and a member of the Colonial Council until his death. His will, no longer extant, is documented in a York County 18th century land transaction. George Reade married Elizabeth Martiau, daughter of Nicolas Martiau (Father of Yorktown). Their daughter Mildred, wife of Col. Augustine Warner, was the g-grandmother of George Washington. George Read, the son of Robert Read of London and his wife Mildred Windebank, was one of the about one hundred colonists, who emigrated to the colonies from England and Wales before the end of the 17th century, known to have legitimate descent from a Plantagenet King of England. 1. Col. George1 Reade, Col. (RobertA, AndrewB) was born Bet. 1605 – 1608 in Linkenholt, Hampshire, England1,2, and died Bef. 21 Nov 1671 in York Co, VA3,4. He married Elizabeth Martiau Abt. 16415, daughter of Nicolas Martiau. She died Bef. 24 Jan 1686/87 in York Co, VA7,8. + 2 i. Elizabeth2 Reade, died 18 Nov 1717 in Charles Parish, York Co, VA.
+ 3 ii. Mildred Reade, died 1694. + 5 iv. Robert Reade, died Bef. 16 Mar 1722/23 in York Co, VA.
+ 6 v. Thomas Reade. + 7 vi. Francis Reade, died Abt. 1694. 8 vii. Benjamin Reade. He married Mary (Gwynn?). 2. Elizabeth2 Reade (George1, RobertA, AndrewB) died 18 Nov 1717 in Charles Parish, York Co, VA9,10. She married Captain Thomas Chisman, son of Edmund Chisman and Mary. He was born Abt. 1651 in Virginia11, and died Bef. 18 Jul 1715 in York Co, VA11. 9 i. Thomas3 Chisman, Capt., died 11 Dec 1722 in Charles Parish, York Co, VA12,13,14. He married Anne15. 10 ii. Mary Chisman, died 22 Jan 1719/20 in Charles Parish, York Co, VA16. She married Edward Athey. 11 iii. Mildred Chisman, born 19 Feb 1675/76 in Charles Parish, York Co, VA17,18,19. She married Lawrence Smith, Col; died 27 Feb 1738/39 in York Co, VA20,21. 12 iv. Elizabeth Chisman, born 08 Nov 1681 in Charles Parish, York Co, VA22,23. She married Unknown Lucas24. 13 v. Col. John Chisman, born 04 Mar 1682/83 in Charles Parish, York Co, VA25,26; died 19 Sep 1728 in Charles Parish, York Co, VA26,27. He married Ellinor Hayward28 22 Dec 1708 in York Co, VA29,30; born 25 Jul 1690 in Charles Parish, York Co, VA31,32; died 08 Feb 1767 in York Co, VA33. 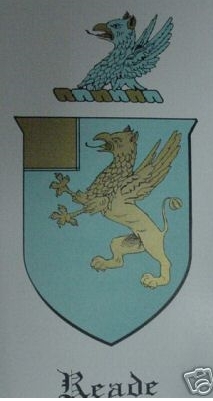 14 vi. Jane Chisman, born 21 Mar 1686/87 in Charles Parish, York Co, VA34,35,36. 15 vii. George Chisman, born 05 Jan 1688/89 in Charles Parish, York Co, VA37,38,39; died 06 Oct 1710 in Charles Parish, York Co, VA39,40. 16 viii. Sarah Chisman, born 02 May 1690 in Charles Parish, York Co, VA41,42,43. 17 ix. Anne Chisman, born 20 Dec 1692 in Charles Parish, York Co, VA44,45,46. 3. Mildred2 Reade (George1, RobertA, AndrewB) died 1694. She married Col. Augustine Warner, son of Augustine Warner and Mary Towneley. He was born 03 Jun 164247, and died 19 Jun 168147. 20 iii. Mildred Warner, died 1701 in Whitehaven, England48,49. She married (1) Laurence Washington. She married (2) George Gayle. 21 iv. Elizabeth Warner. She married John Lewis. 23 vi. Isabella Warner, born 24 Nov 1672 in Chesake, Virginia50; died 06 Feb 1719/2050. She married John Lewis, Major; born 30 Nov 166950; died 14 Nov 172550. 5. Robert2 Reade (George1, RobertA, AndrewB) died Bef. 16 Mar 1722/23 in York Co, VA51,52. He married Mary Lilly53, daughter of John Lilly. She died Bef. 20 Nov 172254. 25 ii. Margaret Reade. She married Thomas Nelson; born 20 Feb 1677/7855; died 07 Oct 174555. 27 iv. Thomas Reade, died 171956. 29 vi. Samuel Reade, died 20 Nov 175857. He married Mary Schlater. 30 vii. Mildred Reade. She married (1) James Goodwin Bef. 1719; died 16 Nov 1719 in York Co, VA57,58. She married (2) Lawrence Smith, Col Bef. 172059; died 27 Feb 1738/39 in York Co, VA60,61. 6. Thomas2 Reade (George1, RobertA, AndrewB) He married Lucy Gwynn, daughter of Edmund Gwynn and Lucy Bernard. 32 i. Thomas3 Reade, died 17 Apr 173962. He married Ann Booth; born 170662; died 09 Jan 177562. 33 ii. John Reade, Rev., born 169962; died Bef. 13 Mar 1743/4463,64. He married Frances Yates 02 Feb 1737/3865. 34 iii. Lucy Reade, died 22 Nov 173165. She married John Dixon. 35 iv. Mary Reade. She married Mordecai Throckmorton, Capt. ; died Bef. 09 Nov 176765. 36 v. Mildred Reade. She married Philip Rootes, Maj..
37 vi. Joyce Reade, born 08 Mar 1701/0265; died 08 Aug 1771 in Caroline Co, VA65. She married Christopher Tompkins; born 17 Oct 1705 in Gloucester Co, VA65; died 16 Mar 1779 in Caroline Co, VA65. 7. Francis2 Reade (George1, RobertA, AndrewB) died Abt. 169466. He married (1) Jane Chisman, daughter of Edmund Chisman and Mary. He married (2) Anne Bef. 169366. 38 i. Mary3 Reade. She married Edward Davis67. 39 ii. Elizabeth Reade. She married Paul Watlington Bef. 170768. 42 iii. Benjamin Reade. He married Lucy Bef. 169268. 2. Edited by Virginia M. Meyer & John Frederick Dorman, Adventurers of Purse and Person 1607-1624/5 and Their Families, (Published by Order of First Families of Virginia, 1987), 419. 4. Edited by Virginia M. Meyer & John Frederick Dorman, Adventurers of Purse and Person 1607-1624/5 and Their Families, (Published by Order of First Families of Virginia, 1987), 420. 5. Edited by Virginia M. Meyer & John Frederick Dorman, Adventurers of Purse and Person 1607-1624/5 and Their Families, (Published by Order of First Families of Virginia, 1987), 419. 6. Adventures of Purse and Person, Virginia, 1607-1625, FFV., 420. 8. Edited by Virginia M. Meyer & John Frederick Dorman, Adventurers of Purse and Person 1607-1624/5 and Their Families, (Published by Order of First Families of Virginia, 1987), 420. 9. Virginia M. Meyer & John Frederick Dorman, Adventurers of Purse and Person Virginia 1607-1624/5, (Order of First Families of Virginia, 1987), 172. 10. Landon C. Bell, Charles Parish York County, Virginia History and Registers, (Library of Virginia, Richmond, VA, 1932, 1984, 1996), 208. 11. Virginia M. Meyer & John Frederick Dorman, Adventurers of Purse and Person Virginia 1607-1624/5, (Order of First Families of Virginia, 1987), 172. 13. Virginia M. Meyer & John Frederick Dorman, Adventurers of Purse and Person Virginia 1607-1624/5, (Order of First Families of Virginia, 1987), 173. 14. Landon C. Bell, Charles Parish York County, Virginia History and Registers, (Library of Virginia, Richmond, VA, 1932, 1984, 1996), 208. 16. Landon C. Bell, Charles Parish York County, Virginia History and Registers, (Library of Virginia, Richmond, VA, 1932, 1984, 1996), 208. 18. Landon C. Bell, Charles Parish York County, Virginia History and Registers, (Library of Virginia, Richmond, VA, 1932, 1984, 1996), 64. 19. Virginia M. Meyer & John Frederick Dorman, Adventurers of Purse and Person Virginia 1607-1624/5, (Order of First Families of Virginia, 1987), 173. 21. Virginia M. Meyer & John Frederick Dorman, Adventurers of Purse and Person Virginia 1607-1624/5, (Order of First Families of Virginia, 1987), 173. 23. Landon C. Bell, Charles Parish York County, Virginia History and Registers, (Library of Virginia, Richmond, VA, 1932, 1984, 1996), 63. 25. Landon C. Bell, Charles Parish York County, Virginia History and Registers, (Library of Virginia, Richmond, VA, 1932, 1984, 1996), 63. 26. Virginia M. Meyer & John Frederick Dorman, Adventurers of Purse and Person Virginia 1607-1624/5, (Order of First Families of Virginia, 1987), 173. 27. Landon C. Bell, Charles Parish York County, Virginia History and Registers, (Library of Virginia, Richmond, VA, 1932, 1984, 1996), 208. 28. Landon C. Bell, Charles Parish York County, Virginia History and Registers, (Library of Virginia, Richmond, VA, 1932, 1984, 1996), 102. 30. Virginia M. Meyer & John Frederick Dorman, Adventurers of Purse and Person Virginia 1607-1624/5, (Order of First Families of Virginia, 1987), 173. 31. Virginia M. Meyer & John Frederick Dorman, Adventurers of Purse and Person Virginia 1607-1624/5, (Order of First Families of Virginia, 1987), 173-174. 32. Landon C. Bell, Charles Parish York County, Virginia History and Registers, (Library of Virginia, Richmond, VA, 1932, 1984, 1996), 102. 33. Virginia M. Meyer & John Frederick Dorman, Adventurers of Purse and Person Virginia 1607-1624/5, (Order of First Families of Virginia, 1987), 174. 35. Landon C. Bell, Charles Parish York County, Virginia History and Registers, (Library of Virginia, Richmond, VA, 1932, 1984, 1996), 63. 36. Virginia M. Meyer & John Frederick Dorman, Adventurers of Purse and Person Virginia 1607-1624/5, (Order of First Families of Virginia, 1987), 173. 38. Landon C. Bell, Charles Parish York County, Virginia History and Registers, (Library of Virginia, Richmond, VA, 1932, 1984, 1996), 63. 39. Virginia M. Meyer & John Frederick Dorman, Adventurers of Purse and Person Virginia 1607-1624/5, (Order of First Families of Virginia, 1987), 172. 40. Landon C. Bell, Charles Parish York County, Virginia History and Registers, (Library of Virginia, Richmond, VA, 1932, 1984, 1996), 208. 42. Landon C. Bell, Charles Parish York County, Virginia History and Registers, (Library of Virginia, Richmond, VA, 1932, 1984, 1996), 64. 43. Virginia M. Meyer & John Frederick Dorman, Adventurers of Purse and Person Virginia 1607-1624/5, (Order of First Families of Virginia, 1987), 172. 45. Landon C. Bell, Charles Parish York County, Virginia History and Registers, (Library of Virginia, Richmond, VA, 1932, 1984, 1996), 62. 46. Virginia M. Meyer & John Frederick Dorman, Adventurers of Purse and Person Virginia 1607-1624/5, (Order of First Families of Virginia, 1987), 172. 49. Plaque – Warner Hall Graveyard. 51. Edited by Virginia M. Meyer & John Frederick Dorman, Adventurers of Purse and Person 1607-1624/5 and Their Families, (Published by Order of First Families of Virginia, 1987), 422. 52. York Co, VA Orders, Wills Book #14 pp 241-242. 54. Edited by Virginia M. Meyer & John Frederick Dorman, Adventurers of Purse and Person 1607-1624/5 and Their Families, (Published by Order of First Families of Virginia, 1987), 422. 55. Edited by Virginia M. Meyer & John Frederick Dorman, Adventurers of Purse and Person 1607-1624/5 and Their Families, (Published by Order of First Families of Virginia, 1987), 423. 57. Edited by Virginia M. Meyer & John Frederick Dorman, Adventurers of Purse and Person 1607-1624/5 and Their Families, (Published by Order of First Families of Virginia, 1987), 423. 58. York Co, VA Deeds, Orders, Wills Book 15 p. 517. 59. Edited by Virginia M. Meyer & John Frederick Dorman, Adventurers of Purse and Person 1607-1624/5 and Their Families, (Published by Order of First Families of Virginia, 1987), 423. 61. Virginia M. Meyer & John Frederick Dorman, Adventurers of Purse and Person Virginia 1607-1624/5, (Order of First Families of Virginia, 1987), 173. 62. Edited by Virginia M. Meyer & John Frederick Dorman, Adventurers of Purse and Person 1607-1624/5 and Their Families, (Published by Order of First Families of Virginia, 1987), 423. 63. William & Mary Quarterly Vol 3 p. 40. 64. Edited by Virginia M. Meyer & John Frederick Dorman, Adventurers of Purse and Person 1607-1624/5 and Their Families, (Published by Order of First Families of Virginia, 1987), 423. 65. Edited by Virginia M. Meyer & John Frederick Dorman, Adventurers of Purse and Person 1607-1624/5 and Their Families, (Published by Order of First Families of Virginia, 1987), 424. 66. William & Mary College Quarterly, Vol 3, 40. 67. William & Mary College Quarterly Historical Papers Vol. 3 1894-95, p 40. 68. William & Mary College Quarterly, Vol 3, 40.